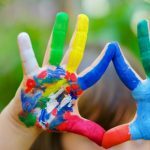 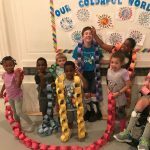 The Dancing Wheels Company & School is an organization of artists with and without disabilities that educates, entertains and advocates through physically integrated dance worldwide. 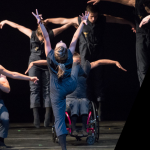 Mary Verdi-Fletcher, the first professional wheelchair dancer in the U.S., founded the Cleveland-based Dancing Wheels Company in 1980, offering others with disabilities full and equal access into the world of dance. 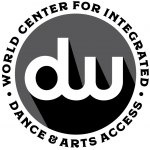 Since its inception, the Company has performed before 5 million people and the School has developed into a global center for emerging dancers, choreographers and teachers serving 6,500 students each year. 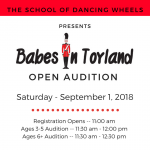 Babes in Toyland: Open Audition!